Professor Takashi OSAWA deciphered these inscriptions and found that the person who is buried and commemorated in the inscriptions assumed the position of Yabgu (viceroy), the highest ranking just behind Qaghan*, during the reign of Bilge Qaghan (716-734 AD) of the Second Turkic Qaghanate. It was also found that the Yabgu became a Tölis-Shad (Royalty of the East), a commander in chief and highest administrative officer, in eastern Mongolia during the reign of Tengri Qaghan (734-741 AD). * Qaghan (or Khagan) is a title of imperial rank in the Turkic and Mongolian languages equal to the status of emperor, and is someone who rules a Qaghanate or Khaganate (empire). Climate scientists say that killer heat waves will become increasingly prevalent in many regions as climate warms. However, most projections leave out a major factor that could worsen things: humidity, which can greatly magnify the effects of heat alone. Now, a new global study projects that in coming decades the effects of high humidity in many areas will dramatically increase. At times, they may surpass humans’ ability to work or, in some cases, even survive. Health and economies would suffer, especially in regions where people work outside and have little access to air conditioning. Potentially affected regions include large swaths of the already muggy southeastern United States, the Amazon, western and central Africa, southern areas of the Mideast and Arabian peninsula, northern India and eastern China. When and how was the Earth formed in the vast Universe? Is the Earth unique in the Universe? These questions always arouse our curiosity. The article "Biogenic oxygen from Earth transported to the Moon by a wind of magnetospheric ions" was published in Nature Astronomy in January 2017 and ranked in the top three of the journal’s most read articles in 2017. The Earth is protected from solar wind and cosmic rays by the Earth's magnetic field. On the night side of the earth, the side opposite the Sun, the Earth’s magnetic field is extended like a comet tail and makes a space like a streamer (we call it “Geotail”). At the center of the Geotail, there is an area which exists as a sheet-like structure of hot plasma. A joint group of researchers from the Institute of Space and Astronautical Science and Nagoya University, led by Professor TERADA Kentaro at Osaka University, by using the Magnetic field and Plasma experiment/Plasma energy Angle and Composition experiment (MAP-PACE) on SELENE (Selenological and Engineering Explorer), known in Japan as the spacecraft "Kaguya," succeeded in observing that oxygen from the gravisphere of Earth was transported to the Moon 380,000 km away by solar activity. Geometrical setting of Sun, Earth, Moon and Geotail (plasma sheet). This group examined plasma data of MAP-PACE 100 km above the Moon’s surface and discovered that high-energy oxygen ions (O+) appeared only when the Moon and Kaguya crossed the plasma sheet. It had been known that oxygen ions flowed out from the polar regions into space; however, this group succeeded in observing that they were transported as “Earth wind” to the surface of the Moon, a world first. O+ ions detected by this group had a high energy of 1-10 keV. These O+ ions can be implanted into a depth of tens of nanometers of a metal particle. This is a very important finding in understanding the complicated isotopic composition of oxygen on the lunar regolith, which has long been a mystery. Through their observation, this group demonstrated the possibility that components that lack 16O, which is a stable isotope of oxygen and is observed in the ozone layer, a region of Earth's stratosphere, were transported to the Moon surface as “Earth wind” and implanted into a depth of tens of nanometers on the surface of lunar soils. Oxygen, which is vital to sustaining life and makes up about 20 percent of the Earth’s atmosphere, has been produced from photosynthesis of plants during the last 2 to 3 billion years. Discoveries like the one by this group will not only encourage researchers’ spirit of seeking truth, but will also have a great impact on the views of nature and science of the general public. It combines a new way to deliver drugs, via a micro-needle patch, with drugs that are known to turn energy-storing white fat into energy-burning brown fat. This innovative approach developed by scientists from Nanyang Technological University, Singapore (NTU Singapore) reduced weight gain in mice on a high fat diet and their fat mass by more than 30 percent over four weeks. The new type of skin patch contains hundreds of micro-needles, each thinner than a human hair, which are loaded with the drug Beta-3 adrenergic receptor agonist or another drug called thyroid hormone T3 triiodothyronine. When the patch is pressed into the skin for about two minutes, these micro-needles become embedded in the skin and detach from the patch, which can then be removed. As the needles degrade, the drug molecules then slowly diffuse to the energy-storing white fat underneath the skin layer, turning them into energy-burning brown fats. Brown fats are found in babies and they help to keep the baby warm by burning energy. As humans grow older, the amount of brown fats lessens and is replaced with visceral white fats. Published in the journal Small Methods recently by NTU Professor Chen Peng and Assistant Professor Xu Chenjie, this approach could help to address the worldwide obesity problem without resorting to surgical operations or oral medication which could require large dosages and could have serious side effects. “With the embedded microneedles in the skin of the mice, the surrounding fats started browning in five days, which helped to increase the energy expenditure of the mice, leading to a reduction in body fat gain,” said Asst Prof Xu, who focuses on research in drug delivery systems. “The amount of drugs we used in the patch is much less than those used in oral medication or an injected dose. This lowers the drug ingredient costs while our slow-release design minimises its side effects,” said Asst Prof Xu. Obesity which results from an excessive accumulation of fat is a major health risk factor for various diseases, including heart disease, stroke and type-2 diabetes. The World Health Organisation estimates that 1.9 billion adults in the world are overweight in 2016 with 650 million of them being obese. Under the two scientists’ guidance at NTU’s School of Chemical and Biomedical Engineering, research fellow Dr Aung Than conducted experiments which showed that the patch could suppress weight gain in mice that were fed a high-fat diet and reduce their fat mass by over 30 percent, over a period of four weeks. The treated mice also had significantly lower blood cholesterol and fatty acids levels compared to the untreated mice. Being able to deliver the drug directly to the site of action is a major reason why it is less likely to have side effects than orally delivered medication. The team estimates that their prototype patch had a material cost of about S$5 (US$3.50) to make, which contains beta-3 adrenergic receptor agonist combined with Hyaluronic acid, a substance naturally found in the human body and commonly used in products like skin moisturisers. Beta-3 adrenergic receptor agonist is a drug approved by the Federal Drug Administration of the United States and is used to treat overactive bladders, while T3 triiodothyronine is a thyroid hormone commonly used for medication for an underactive thyroid gland. Both have been shown in other research studies to be able to turn white fats brown, but their use in reducing weight gain is hampered by potentially serious side-effects and drug accumulation in non-targeted tissues if conventional drug delivery routes were used, such as through oral intake. NTU’s Lee Kong Chian School of Medicine Associate Professor Melvin Leow, who was not affiliated with this study, said it is exciting to be able to tackle obesity via the browning of white fat, and the results were promising. “These data should encourage Phase I Clinical studies in humans to translate these basic science findings to the bedside, with the hope that these microneedle patches may be developed into an established cost-effective modality for the prevention or treatment of obesity in the near future,” added Assoc Prof Leow, an endocrinologist. Since the publication of the paper, the team has received keen interest from biotechnology companies and is looking to partner clinician scientists to further their research. Researchers at the University of Nevada, Reno, led by Spaniard David Álvarez Ponce, have analyzed the evolutionary history of the CMAH gene - which allows the synthesis of this sugar - and shown which groups of animals have lost the gene and therefore are more suitable for human consumption and for organ transplants. At that time in evolution, a gene called CMAH - which allows the synthesis of a sugar called Neu5Gc - was deactivated. This carbohydrate is found in red meat, some fish and dairy products. If humans consume products derived from animals that have the gene, the body suffers an immune reaction to sugar, which is a foreign substance in the body. This can cause inflammation, arthritis and even cancer. "In a first analysis we scanned all the available genomes. We only found the gene in a few bacteria, in a pair of algae, and in the deuterostomes, a group of animals that includes vertebrates and echinoderms, among others. The non-deuterostomes animals did not present the gene. Next, we focused on the 322 deuterostomy genomes that were available," the Spanish researcher explains to Sinc. So far, very few fish species had been studied to know whether or not they had amounts of toxic sugar. "Our analyzes show that there are fish that have the CMAH gene and others that do not, but for the moment the Neu5Gc sugar has been measured in very few of them. In fish that do have this gene, sugar is found in very small proportions in their meat, but in high quantities in caviar. This may be because the gene is expressed specifically in eggs or oviducts," says the scientist. Sateesh Peri, a master's course student at the Alvarez-Ponce laboratory, adds: "It turns out that caviar, one of the most expensive meals in the world, is also one of the products with the highest concentrations of Neu5Gc." However, the research also reveals a multitude of fish that do not have the CMAH gene, and whose caviar is expected to be free of Neu5Gc. Like humans, birds also do not have CMAH genes; so consuming chicken, turkey or duck does not have the negative effects of consuming red meat. Another group of animals that does not have CMAH genes are reptiles, except for one species of lizard. "The presence of the gene in this lizard was unexpected, and invalidates the belief (until now accepted) that the gene had been lost in an ancestor of all reptiles and birds," the scientists say. "It is possible that the deactivation of the CMAH gene during human evolution has protected humans from certain pathogens. For example, there is a type of malaria that needs Neu5Gc sugar to cause infection. This type of malaria affects some primates, but not humans," declares Álvarez-Ponce. The researchers hope that this study will have a significant impact on later work in the fields of nutrition, genetics and medicine. "To determine in which groups and at what moments of the evolution the CMAH gene has been deactivated is critical to know which species are most likely to contain the toxic Neu5Gcy sugar, which are recommended for feeding, xenotransplantation, and certain scientific studies", they add. There is less than a year to go until asteroid 2015 TB145 approaches Earth once again, just as it did in 2015 around the night of Halloween, an occasion which astronomers did not pass up to study its characteristics. This dark object measures between 625 and 700 metres, its rotation period is around three hours and, in certain lighting conditions, it resembles a human skull. Artist´s impression of the Halloween asteroid 2015 TB145, which resembles a human skull in certain light conditions. An asteroid zipped past on 31 October 2015, relatively close to us, just 486,000 km away, 1.3 times the distance separating us from the Moon. The object is called 2015 TB145 and was discovered a few days earlier -on 10 October- from Hawaii using the Pan-STARRS telescope, however, the fact that it came closest to our planet on Halloween also helped it become known as the Halloween asteroid. Different teams of astronomers pointed their instruments towards 2015 TB145, including NASA, which captured it using the Green Bank (West Virginia, USA) and Arecibo (Puerto Rico) radio telescopes. In some of the images registered by the latter, the rotating asteroid was seen at times to resemble a human skull due to the lighting conditions at particular moments during its rotation. This image of asteroid 2015 TB145 was generated using radar data collected by the National Science Foundation's Arecibo Observatory in Puerto Rico. “It is an Apollo-type near-Earth asteroid (NEA),” Santos-Sanz explains to SINC. “The proximity of this small object meant greater brightness, so we decided to study it using various observation techniques: on the one hand, we used optical telescopes from the Sierra Nevada Observatory in Granada, the Calar Alto Observatory in Almería and the La Hita Observatory in Toledo; and on the other, we analysed it in the mid-infrared using the Very Large Telescope (VLT) VISIR instrument at the European Southern Observatory (ESO) in Cerro Paranal, Chile”. “From the observations from Spain, we discovered that this object’s most likely rotation period is 2.94 hours, in other words, this is the approximate length of its day, although we cannot rule out another possibility: 4.78 hours, another solution which is consistent with our optical data,” the expert points out. Thanks to the observations in the mid-infrared made from the VLT, the authors were able to detect the thermal emission of the object. Using this information and a thermophysical model, various properties of 2015 TB145could be discerned. The reflectivity or albedo of the surface of this asteroid is around 5 or 6%, which means that it reflects approximately 5 to 6% of sunlight. “This means that it is very dark, only slightly more reflective than charcoal,” the Spanish astrophysicist explains. Researchers are confident of obtaining more data on 2015 TB145 the next time it approaches our planet, which will happen in November 2018, although this time it will zip past much further away than the last, at a distance 105 times the average Lunar distance. “Although this approach shall not be so favourable, we will be able to obtain new data which could help improve our knowledge of this mass and other similar masses that come close to our planet,” Santos-Sanz says. Thomas G. Müller, researcher from the Max-Planck-Institut für extraterrestrische Physik (Germany) and co-author of the study, adds: “The next slightly more exciting encounter will be around Halloween's day in the year 2088, when the object approaches Earth to a distance of about 20 lunar distances. The encounter on Halloween's day 2015 was the closest approach of an object of that size since 2006, and the next known similar event is the passage of 137108 (1999 AN10) on August 7, 2027. Later, 99942 Apophis will follow on April 13, 2029 with an Earth passage at approximately 0.1 lunar distances." Orbit diagram of 2015 TB145 and current position. Scientists think that the Halloween asteroid could in fact be an extinct comet which lost its volatile compounds after orbiting the Sun numerous times. In general, asteroids and comets are distinguished by their composition (the former being more rocky and metallic, while the latter have a higher proportion of ice and rock) and type of orbit around the Sun, but at times it is not easy to tell them apart. The boundaries between them are becoming increasingly diffuse. In any case, both were formed and witnessed the first stages of our solar system, which was born around 4,600 million years ago. Citation: T. G. Müller, A. Marciniak, M. Butkiewicz-Bąk, R. Duffard, D. Oszkiewicz, H. U. Käufl, R. Szakáts, T. Santana-Ros, C. Kiss and P. Santos-Sanz. “Large Halloween Asteroid at Lunar Distance”. Astronomy&Astrophysics 598- A63, 2017. According to the glacier refuges theory, after the last glaciations the bears of northern Europe sought shelter in the South. Researchers from A Coruña University reject this idea: they have reconstructed the colonization of brown bears in the Iberian Peninsula and have shown that the lineage of the Pleistocene bears was lost. The delay in the re-colonization of the Iberian Peninsula could be due to the orographical characteristics of the Pyrenees and the abundant presence of human beings in the natural entrance to the Peninsula. "We have investigated the mitochondrial DNA [the cellular energy 'factories'] of a significant number of samples of current bears, from the Holocene the and Pleistocene, in the European context, and we have seen that the glacier refugee theory, commonly accepted, does not work for this species", explains Aurora Grandal Danglade, researcher of A Coruña University and co-author of the study published by the Historical Biology journal. In their work they compiled data on the chronology and mitochondrial genome of brown bears (Ursus arctos) from Western Europe, adding new sequences of the current ones from the Cantábrico Mountains. "Through the study of today's´ bears, it had been seen that the brown bears of southern Scandinavia were of the same lineage as the current Iberian ones. This led to the hypothesis that the Peninsula would have served as a glacier refuge for the brown bears, which at the end of the last glacial maximum, would have colonized again Western Europe from here, "explains Ana García Vázquez, co-author of the research. In the North of the Iberian peninsula there were three maternal lineages during the Pleistocene: one more numerous and two others of which only remains of a single individual of each group exist. The coexistence of three different lineages of bears is something that happens, for example, nowadays in Russia. However, on the Peninsula there is only one, which means that the other two lineages arrived from very distant areas and did not have continuity over time. This implies that the Pleistocene lineage was lost, and the Holocene bears, after the last glacial maximum, entered the peninsula from some unidentified area -probably France- and they did it 5,000 years after having colonized the British Isles. "It would be necessary to obtain more mitochondrial sequences from bears from other regions of Western Europe to clarify if the presence of these maternal lineages is casual or, on the contrary, no other representatives were found due to the scarcity of data," the scientist points out. The delay in the re-colonization of the Iberian Peninsula could be due to the orographical characteristics of the Pyrenees and the abundant presence of human beings in the natural entrance to the Peninsula. However, as there is no continuity of any of the Pleistocene lineages in the Holocene, Grandal and her team propose the existence of a cryptic refuge on the Atlantic slopes of continental Europe, ""from where the bears expanded as the ice receded", she concludes. Citation: Ana García-Vázquez, Ana Cristina Pinto Llona y Aurora Grandal Danglade. “Post-glacial colonization of Western Europe brown bears from a cryptic Atlantic refugium out of the Iberian Peninsula” Historical Biology, 2017. "Snips and snails, and puppy dogs tails, That's what little boys are made of. Sugar and spice and all things nice, That's what little girls are made of." The nursery rhyme reflects some underlying truth about the differences between males and females. Callous-unemotional traits have been linked to deficits in development of the conscience and of empathy. Children and adolescents react less to negative stimuli; they often prefer risky activities and show less caution or fear. In recent years, researchers and doctors have given these personality traits increased attention, since they have been associated with the development of more serious and persistent antisocial behavior. However, until now, most research in this area has focused on studying callous-unemotional traits in populations with a psychiatric diagnosis, especially conduct disorder. This meant that it was unclear whether associations between callous-unemotional traits and brain structure were only present in clinical populations with increased aggression, or whether the antisocial behavior and aggression explained the brain differences. Using magnetic resonance imaging, the researchers were able to take a closer look at the brain development of typically-developing teenagers to find out whether callous-unemotional traits are linked to differences in brain structure. The researchers were particularly interested to find out if the relationship between callous-unemotional traits and brain structure differs between boys and girls. The findings show that in typically-developing boys, the volume of the anterior insula - a brain region implicated in recognizing emotions in others and empathy - is larger in those with higher levels of callous-unemotional traits. This variation in brain structure was only seen in boys, but not in girls with the same personality traits. "Our findings demonstrate that callous-unemotional traits are related to differences in brain structure in typically-developing boys without a clinical diagnosis," explains lead author Nora Maria Raschle from the University and the Psychiatric Hospital of the University of Basel in Switzerland. "In a next step, we want to find out what kind of trigger leads some of these children to develop mental health problems later in life while others never develop problems." 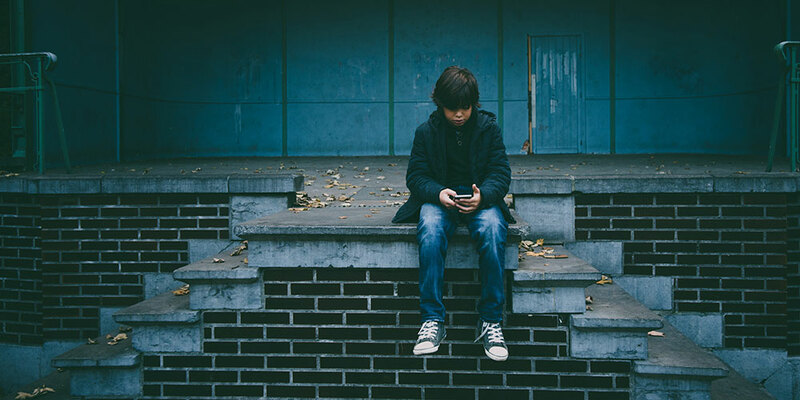 This study is part of the FemNAT-CD project, a large Europe-wide research project aiming at investigating neurobiology and treatment of adolescent female conduct disorder. A PhD student in civil engineering at EPFL and a recent architecture graduate joined forces to make a bench out of exceptionally resistant glass. Several companies broke new ground in support of this highly innovative project. By combining her know-how with that of EPFL architect Alexander Wolhoff, Jagoda Cupać, doctor in civil engineering, has proven that glass can be transformed into an ultra-resistant material. Their project? Creating a six-meter-long glass bench named ATLAS. Several companies contributed to the project’s success using processes and materials that were new to them. The ATLAS bench is a true technology prototype and will be on display for a semester at the Rolex Learning Center. In contemporary architecture, glass has long been used for so much more than just windows. It's everywhere – in roofs, stairs, walls, floors and beams – and that's not likely to change anytime soon. And so like Atlas, the mythical figure condemned to hold the sky aloft for eternity, the engineers had an epic challenge of their own, that of turning glass into a load-bearing material that is as resilient as steel or concrete without losing its trademark transparency. Cupać first began working with glass for her Master's degree in civil engineering in Croatia. Then, for her thesis at the Resilient Steel Structures Laboratory (RESSLAB), she tested glass beams that had been reinforced and post-tensioned with pieces of stainless steel. The properties of these beams were unknown and had barely been studied before at EPFL. During the post-tensioning process, the steel is stretched mechanically before being attached to the glass beam to make it more resistant. The researcher conducted dozens of bending resistance tests to identify the most resilient beam system. “The glass beams are post-tensioned using stainless steel bars that are attached at the beam ends and glued along the glass edges. Due to the applied prestress, the bending resistance of the beams is increased. In case of failure of a glass roof or floor due to exceptional load or vandalism, for instance, this system can ensure that everybody inside and outside the building is safe because the steel bars take over the tensile forces and make the glass more ductile – meaning that it can sustain significant deformations. This prevents the structure from collapsing immediately and without warning,” explains Cupać. The results of her research challenge preconceived ideas about the fragility of glass, which can in fact be made as resilient and ductile as more conventional load-bearing materials. So that's how ATLAS came to be. It is a bench composed of three post-tensioned glass beams reinforced with steel, and two support blocks made out of high-performance fiber-reinforced concrete (HPFRC). These blocks are tinted with a shiny surface, and transfer the load from the beams to the ground. Wolhoff developed a special type of concrete for the project, based partly on his own research. EPFL's Structural Maintenance and Safety Laboratory (MCS) helped produce the two supports. Christophe Loraux, a PhD student in the MCS Laboratory, got involved in the project, advising Wolhoff to use HPFRC instead of conventional concrete, which has several drawbacks for this type of application: “It made sense to use HPFRC because it goes well with glass. It meant we combined two highly resistant materials that are stable over time.” Perhaps this is another nod to the Greek mythical figure. The HPFRC made with synthetic fibers, which was developed by the MCS Laboratory, was thus chosen because it offered numerous advantages: it’s easy to cast, mechanically resistant – both when compressed and in terms of tensile strength – and doesn’t wear over time. The resulting material can cause confusion: it looks more like porcelain than conventional concrete. The ATLAS project plays with this visual aspect: the bench resembles something between glass and porcelain, and onlookers would be forgiven for thinking it is fragile. The ATLAS bench will be showcased for the first time outdoors on the EPFL campus before being moved to a more permanent, indoor location. Cupać and Wolhoff are still looking for the perfect spot. The ATLAS project is the result of a collaboration between EPFL's RESSLAB, ALICE and MCS Laboratories and was supported by BBR Network Group, Huntsman, AGC VIM and Félix Constructions. Reference: Jagoda Cupać, “Post-tensioned glass beams,” supervised by Professor Alain Nussbaumer and Professor Christian Louter, September 2017. Within the inner ear, thousands of hair cells detect sound waves and translate them into nerve signals that allow us to hear speech, music, and other everyday sounds. Damage to these cells is one of the leading causes of hearing loss, which affects 48 million Americans. Each of us is born with about 15,000 hair cells per ear, and once damaged, these cells cannot regrow. However, researchers at MIT, Brigham and Women’s Hospital, and Massachusetts Eye and Ear have now discovered a combination of drugs that expands the population of progenitor cells (also called supporting cells) in the ear and induces them to become hair cells, offering a potential new way to treat hearing loss. This image shows large clonal colonies of cochlear progenitor cells formed from single cells and converted into high-purity colonies of hair cells (cyan) with intricate hair bundles (red). “Hearing loss is a real problem as people get older. It’s very much of an unmet need, and this is an entirely new approach,” says Robert Langer, the David H. Koch Institute Professor at MIT, a member of the Koch Institute for Integrative Cancer Research, and one of the senior authors of the study. Jeffrey Karp, an associate professor of medicine at Brigham and Women’s Hospital (BWH) and Harvard Medical School in Boston; and Albert Edge, a professor of otolaryngology at Harvard Medical School based at Massachusetts Eye and Ear, are also senior authors of the paper, which appears in the Feb. 21 issue of Cell Reports. Lead authors are Will McLean, a recent PhD recipient at the Harvard-MIT Division of Health Sciences and Technology, and Xiaolei Yin, an instructor at Brigham and Women’s and a research affiliate at the Koch Institute. Other authors are former MIT visiting student Lin Lu, Mass Eye and Ear postdoc Danielle Lenz, and Mass Eye and Ear research assistant Dalton McLean. Noise exposure, aging, and some antibiotics and chemotherapy drugs can lead to hair cell death. In some animals, those cells naturally regenerate, but not in humans. The research team began investigating the possibility of regenerating hair cells during an earlier study on cells of the intestinal lining. In that study, published in 2013, Karp, Langer, Yin, and others reported that they could generate large quantities of immature intestinal cells and then stimulate them to differentiate, by exposing them to certain molecules. During that study, the team became aware that cells that provide structural support in the cochlea express some of the same surface proteins as intestinal stem cells. The researchers decided to explore whether the same approach would work in those supporting cells. This image shows large clonal colonies of cochlear progenitor cells formed from single cells and converted into high-purity colonies of hair cells (magenta) with intricate hair bundles (cyan). They exposed cells from a mouse cochlea, grown in a lab dish, to molecules that stimulate the Wnt pathway, which makes the cells multiply rapidly. “We used small molecules to activate the supporting cells so they become proliferative and can generate hair cells,” Yin says. At the same time, to prevent the cells from differentiating too soon, the researchers also exposed the cells to molecules that activate another signaling pathway known as Notch. Once they had a large pool of immature progenitor cells (about 2,000-fold greater than any previously reported), the researchers added another set of molecules that provoked the cells to differentiate into mature hair cells. This procedure generates about 60 times more mature hair cells than the technique that had previously worked the best, which uses growth factors to induce the supporting cochlea cells to become hair cells without first expanding the population. The researchers found that their new approach also worked in an intact mouse cochlea removed from the body. In that experiment, the researchers did not need to add the second set of drugs because once the progenitor cells were formed, they were naturally exposed to signals that stimulated them to become mature hair cells. “We only need to promote the proliferation of these supporting cells, and then the natural signaling cascade that exists in the body will drive a portion of those cells to become hair cells,” Karp says. Because this treatment involves a simple drug exposure, the researchers believe it could be easy to administer it to human patients. They envision that the drugs could be injected into the middle ear, from which they would diffuse across a membrane into the inner ear. This type of injection is commonly performed to treat ear infections. Some of the researchers have started a company called Frequency Therapeutics, which has licensed the MIT/BWH technology and plans to begin testing it in human patients within 18 months. Jeffrey Holt, a professor of otolaryngology and neurology at Boston Children’s Hospital and Harvard Medical School, says this approach holds potential for treating hearing loss, if its safety and effectiveness can be demonstrated. “The ability to promote proliferation of inner-ear stem cells and direct their maturation toward an auditory hair cell fate is an important advance that will accelerate the pace of scientific discovery and facilitate translation of regenerative medicine approaches for restoration of auditory function in patients with acquired hearing loss,” says Holt, who was not involved in the research. The researchers also hope their work will help other scientists who study hearing loss. Karp, Langer, and Yin are also working on applying this approach to other types of cells, including types of intestinal cells involved in insulin regulation and control of the gut microbiota. The research was funded by the National Institutes of Health, the European Commission, the Harvard-MIT IDEA2 Award, the Shulsky Foundation, and Robert Boucai. École polytechnique fédérale de Lausanne (EPFL) researchers have created nanoparticles that attract viruses and, using the pressure resulting from the binding process, destroy them. This revolutionary approach could lead to the development of broad-spectrum antiviral drugs. HIV, dengue, papillomavirus, herpes and Ebola – these are just some of the many viruses that kill millions of people every year, mostly children in developing countries. While drugs can be used against some viruses, there is currently no broad-spectrum treatment that is effective against several at the same time, in the same way that broad-spectrum antibiotics fight a range of bacteria. But researchers at EPFL's Supramolecular Nano-Materials and Interfaces Laboratory – Constellium Chair (SUNMIL) have created gold nanoparticles for just this purpose, and their findings could lead to a broad-spectrum treatment. Once injected in the body, these nanoparticles imitate human cells and “trick” the viruses. When the viruses bind to them – in order to infect them – the nanoparticles use pressure produced locally by this link-up to “break” the viruses, rendering them innocuous. The results of this research have just been published in Nature Materials. “Fortunately, we have drugs that are effective against some viruses, like HIV and hepatitis C,” says Francesco Stellacci, who runs SUNMIL, from the School of Engineering. “But these drugs work only on a specific virus.” Hence the need for broad-spectrum antiviral drugs. This would enable doctors to use a single drug to combat all viruses that are still deadly because no treatment currently exists. Such non-specific therapies are especially needed in countries – particularly in developing regions – where doctors do not have the tools they need to make accurate diagnoses. And broad-spectrum antiviral drugs would help curb the antimicrobial resistance resulting from the over-prescription of antibiotics. “Doctors often prescribe antibiotics in response to viral infections, since there is no other drug available. But antibiotics are only effective against bacteria, and this blanket use fosters the development of virus mutations and a build-up of resistance in humans,” says Stellacci. Until now, research into broad-spectrum virus treatments has only produced approaches that are toxic to humans or that work effectively in vitro – i.e., in the lab – but not in vivo. The EPFL researchers found a way around these problems by creating gold nanoparticles. They are harmless to humans, and they imitate human cell receptors – specifically the ones viruses seek for their own attachment to cells. Viruses infect human bodies by binding to replicating into cells. It is as if the nanoparticles work by tricking the viruses into thinking that they are invading a human cell. When they bind to the nanoparticles, the resulting pressure deforms the virus and opens it, rendering it harmless. Unlike other treatments, the use of pressure is non-toxic. “Viruses replicate within cells, and it is very difficult to find a chemical substance that attacks viruses without harming the host cells,” says Stellacci. “But until now, that’s been the only known approach attempted permanently damage viruses.” The method developed at SUNMIL is unique in that it achieves permanent damage to the viral integrity without damaging living cells. Successful in vitro experiments have been conducted on cell cultures infected by herpes simplex virus, papillomavirus (which can lead to uterine cancer), respiratory syncytial virus (RSV, which can cause pneumonia), dengue virus and HIV (lentivirus). In other tests, mice infected by RSV were cured. For this project, the SUNMIL researchers teamed up with several other universities that contributed their expertise in nanomaterials and virology. École polytechnique fédérale de Lausanne (EPFL)? DNA molecules that follow specific instructions could offer more precise molecular control of synthetic chemical systems, a discovery that opens the door for engineers to create molecular machines with new and complex behaviors. Researchers have created chemical amplifiers and a chemical oscillator using a systematic method that has the potential to embed sophisticated circuit computation within molecular systems designed for applications in health care, advanced materials and nanotechnology. Chemical oscillators have long been studied by engineers and scientists. The researchers who discovered the chemical oscillator that controls the human circadian rhythm —responsible for our bodies’ day and night rhythm — earned the 2017 Nobel Prize in physiology or medicine. Though understanding of chemical oscillators and other biological chemical processes has evolved significantly, scientists do not know enough to control the chemical activities of living cells. This is leading engineers and scientists to turn to synthetic oscillators that work in test tubes rather than in cells. The findings are published in the Dec. 15 issue of the journal Science. In the new study, David Soloveichik and his research team in the Cockrell School of Engineering at The University of Texas at Austin show how to program synthetic oscillators and other systems by building DNA molecules that follow specific instructions. Soloveichik, an assistant professor in the Cockrell School’s Department of Electrical and Computer Engineering, along with Niranjan Srinivas, a graduate student at the California Institute of Technology, and the study’s co-authors, have successfully constructed a first-of-its-kind chemical oscillator that uses DNA components — and no proteins, enzymes or other cellular components — demonstrating that DNA alone is capable of complex behavior. The team’s new synthetic oscillator could one day be used in synthetic biology or in completely artificial cells, ensuring that certain processes happen in order. But oscillation is just one example of sophisticated molecular behavior. Looking beyond oscillators, this work opens the door for engineers to create more sophisticated molecular machines out of DNA. Depending on how the molecular machines are programmed, different behaviors could be generated, such as communication and signal processing, problem-solving and decision-making, control of motion, etc. — the kind of circuit computation generally attributed only to electronic circuits. The team developed their new oscillator by building DNA molecules that have a specific programming language, producing a repeatable workflow that can generate other complex temporal patterns and respond to input chemical signals. They compiled their language down to precise interactions — a standard practice in the field of electronics but completely novel in biochemistry. The team’s research was conducted as part of the National Science Foundation’s (NSF) Molecular Programming Project, which launched in 2008 as a faculty collaboration to develop molecular programming into a sophisticated, user-friendly and widely used technology for creating nanoscale devices and systems. Funding for the UT Austin team’s work was provided by the NSF, the Office of Naval Research, the National Institutes of Health and the Gordon and Betty Moore Foundation. n 2014, astronomers detected an unusual feature in X-ray data from Perseus and other galaxy clusters. Since then, Chandra and other X-ray telescopes have taken more observations to replicate the finding. The existence and interpretation of this spike in X-ray light has been controversial and difficult to explain. Now, a new team of astronomers has reanalyzed these and other data and come up with a fresh take on this debate. They suggest that dark matter particles in the galaxy clusters are both absorbing and emitting X-rays. If the new model turns out to be correct, it could provide a path for scientists to identify the true nature of dark matter. The air we breathe contains particulate matter from a range of natural and human-related sources. Particulate matter is responsible for thousands of premature deaths in the United States each year, but legislation from the U.S. Environmental Protection Agency (EPA) is credited with significantly decreasing this number, as well as the amount of particulate matter in the atmosphere. However, the EPA may not be getting the full credit they deserve: New research from MIT’s Department of Civil and Environmental Engineering (CEE) proposes that the EPA’s legislation may have saved even more lives than initially reported. “In the United States, the number of premature deaths associated with exposure to outdoor particulate matter exceeds the number of car accident fatalities every year. This highlights the vital role that the EPA plays in reducing the exposure of people living in the United States to harmful pollutants,” says Colette Heald, associate professor in CEE and the Department of Earth, Atmospheric and Planetary Sciences. MIT researchers found a more dramatic decline in organic aerosol across the U.S. than previously reported, which may account for more lives saved than the U.S. Environmental Protection Agency anticipated in a 2011 report on the Clean Air Act and amendments. The study found that the decline is likely due to human behaviors. The EPA’s 1970 Clean Air Act and amendments in 1990 address the health effects of particulate matter, specifically by regulating emissions of air pollutants and promoting research into cleaner alternatives. In 2011 the EPA announced that the legislation was responsible for a considerable decrease in particulate matter in the atmosphere, estimating that over 100,000 lives were saved every year from 2000 to 2010. However, the report did not consider organic aerosol, a major component of atmospheric particulate matter, to be a large contributor to the decline in particulate matter during this period. Organic aerosol is emitted directly from fossil fuel combustion (e.g. vehicles), residential burning, and wildfires but is also chemically produced in the atmosphere from the oxidation of both natural and anthropogenically emitted hydrocarbons. The CEE research team, including Heald; Jesse Kroll, an associate professor of CEE and of chemical engineering; David Ridley, a research scientist in CEE; and Kelsey Ridley SM ’15, looked at surface measurements of organic aerosol from across the United States from 1990 to 2012, creating a comprehensive picture of organic aerosol in the United States. “Widespread monitoring of air pollutant concentrations across the United States enables us to verify changes in air quality over time in response to regulations. Previous work has focused on the decline in particulate matter associated with efforts to reduce acid rain in the United States. But to date, no one had really explored the long-term trend in organic aerosol,” Heald says. The MIT researchers found a more dramatic decline in organic aerosol across the U.S. than previously reported, which may account for more lives saved than the EPA anticipated. Their work showed that these changes are likely due to anthropogenic, or human, behaviors. The paper is published this week in Proceedings of the National Academy of Sciences. Using data from the Interagency Monitoring of Protected Visual Environments (IMPROVE) network the researchers found that organic aerosol decreased across the entire country in the winter and summer seasons. This decline in organic aerosol is surprising, especially when considering the increase in wildfires. But the researchers found that despite the wildfires, organic aerosols continue to decline. The researchers also used information from the NASA Modern-Era Retrospective analysis for Research and Applications to analyze the impact of other natural influences on organic aerosol, such as precipitation and temperature, finding that the decline would be occurring despite cloud cover, rain, and temperature changes. The absence of a clear natural cause for the decline in organic aerosol suggests the decline was the result of anthropogenic causes. Further, the decline in organic aerosol was similar to the decrease in other measured atmospheric pollutants, such as nitrogen dioxide and carbon monoxide, which are likewise thought to be due to EPA regulations. Also, similarities in trends across both urban and rural areas suggest that the declines may also be the result of behavioral changes stemming from EPA regulations. By leveraging the emissions data of organic aerosol and its precursors, from both natural and anthropogenic sources, the researchers simulated organic aerosol concentrations from 1990 to 2012 in a model. They found that more than half of the decline in organic aerosol is accounted for by changes in human emissions behaviors, including vehicle emissions and residential and commercial fuel burning. In considering mortality rates and the impact of organic aerosol over time, the researchers used a previously established method that relates exposure to particulate matter to increased risk of mortality through different diseases such as cardiovascular disease or respiratory disease. The researchers could thus figure out the change in mortality rate based on the change in particulate matter. Since the researchers knew how much organic aerosol is in the particulate matter samples, they were able to determine how much changes in organic aerosol levels decreased mortality. This research was funded, in part, by the National Science Foundation, the National Aeronautics and Space Administration, and the National Oceanic and Atmospheric Administration. New hyperlens crystal is capable of resolving details as small as a virus on the surface of living cells. The atomic structure of the hexagonal boron nitride crystal is shown in the cutout. Mars Where Has All the Water Gone?